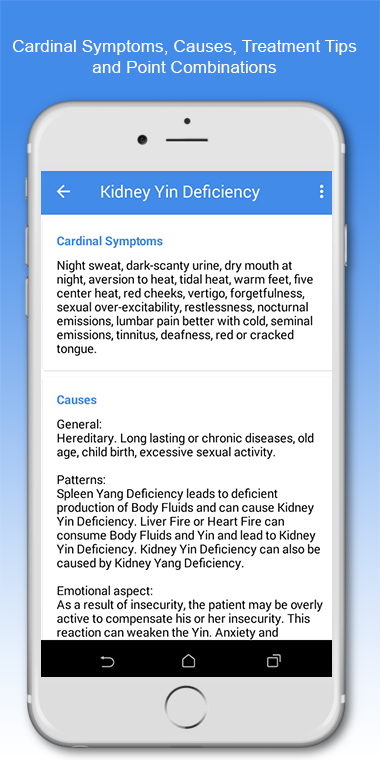 Next update comes with more TCM diagnosis and thousands of symptoms and diseases. No extra costs. For many centuries Traditional Chinese Medicine is continuously taught and applied. There is no other medicine which can understand and treat people so individually. We help you to master this ancient art. Thank you all, this is a great success in our first year! The Shen-Atlas of Acupuncture is a reference book with over 1000 pages and more than 400 high-quality acupuncture charts. Convenient search functions for creating and saving your own point combinations. Power Search for Chinese diagnoses. Practice-relevant expertise on pathogenic factors, substances, Zang Fu and -NEW- also the 8 Extraordinary Vessels. 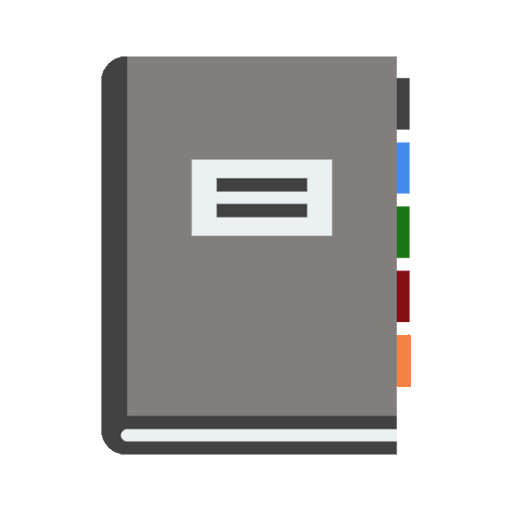 Easily save and categorize notes, pictures, audio and acupuncture points. MyDatabase stores everything. 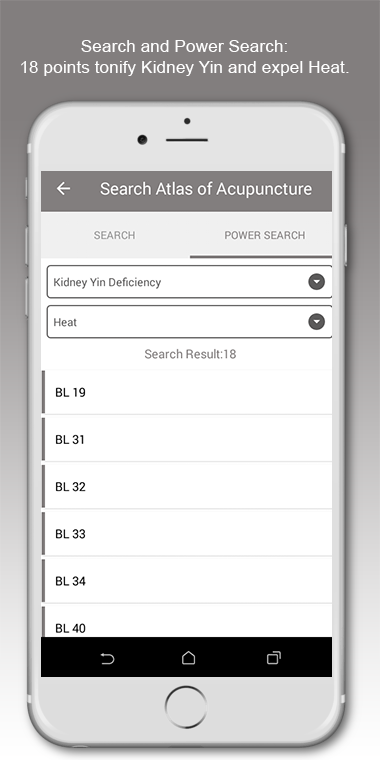 In the app you will have full access to the Shen-Atlas of Acupuncture – a reference book with over 1000 pages as well as 400 high quality acupuncture charts. 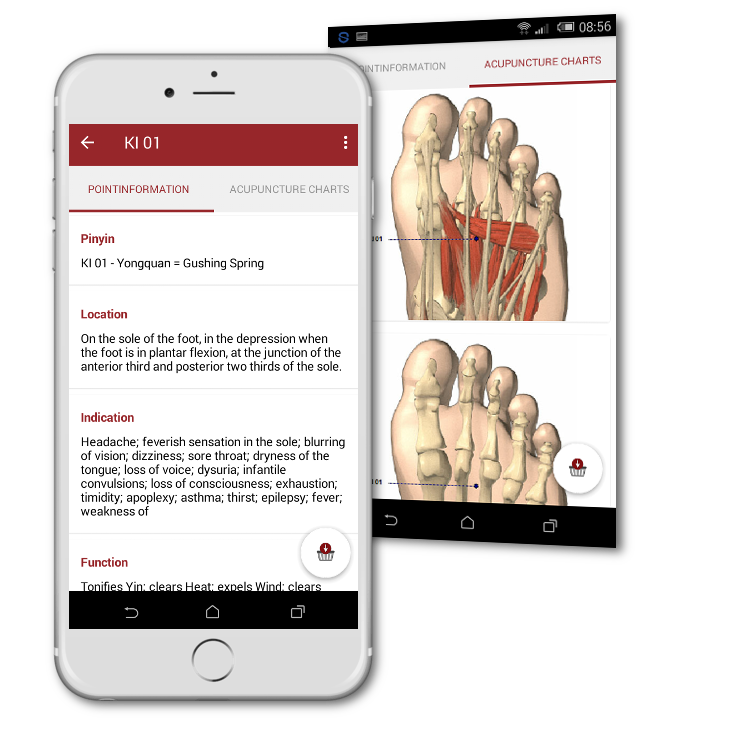 The Atlas of Acupuncture is easy to use and optimized for working on small screens, such as a smartphone or tablet. Each and every acupuncture point includes detailed description of the location, TCM functions, indications, special qualifications, needling and more. High-quality acupuncture charts show each point on four anatomical levels: skin, musculature, skeleton and internal organs with vessels and nerves. 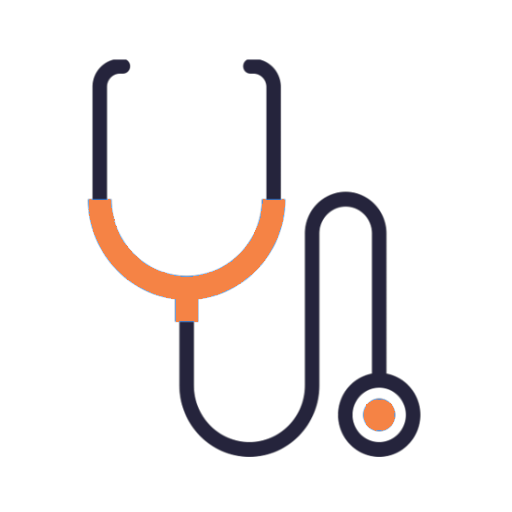 Search the complete atlas within Nano seconds for diseases, indications and TCM diagnoses. 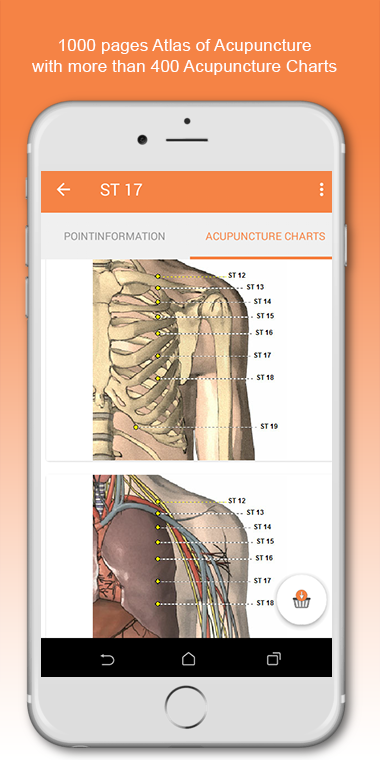 The search option in the Shen Acupuncture app makes your work uncompromising and fast. Searching 1000 pages of the acupuncture atlas for “asthma” takes only a fraction of a second and does not require Internet connection. This is a unique function integrated in the Shen-Acupuncture app to help you create optimal point combinations for your treatment and save them for later use. The Power search is a brilliant addition to full text search and has a special intelligence only available with the app. 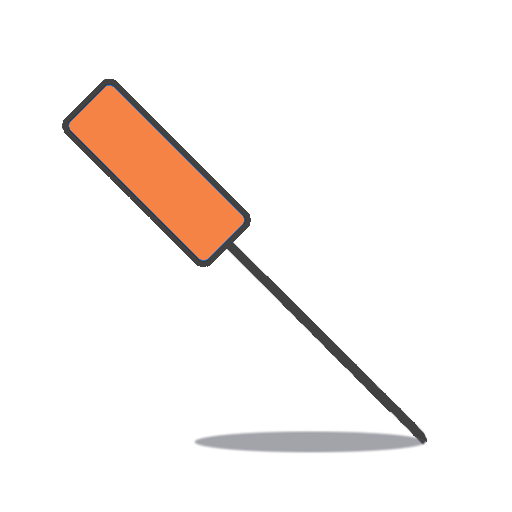 This intelligence consists of 5000 individually created links between TCM diagnoses and acupuncture points which you would never find with full text search. Only the Power Search can show you all the acupuncture points for a specific treatment, e.g. Kidney Yin Deficiency. 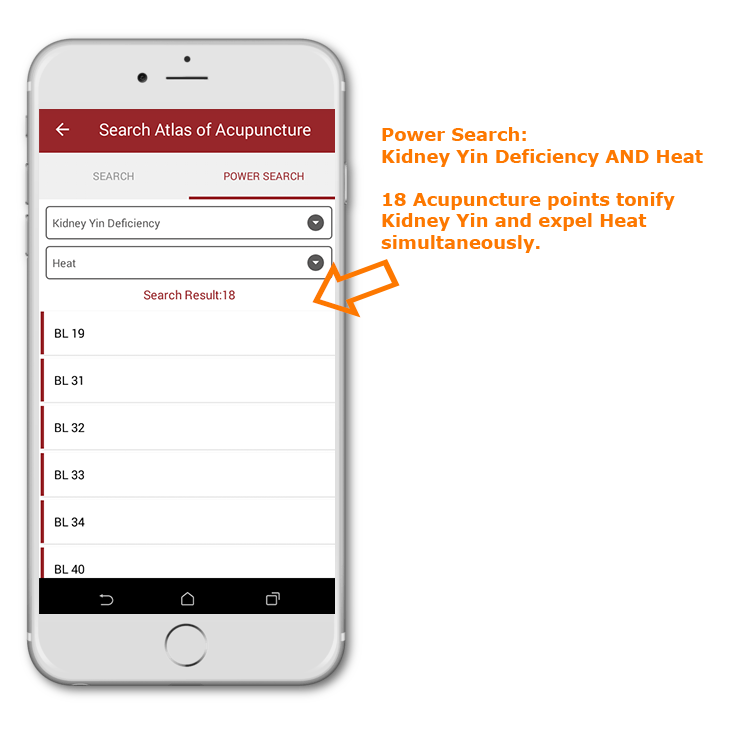 Combined searches are also possible: for example, to search for all points that strengthen the Kidney Yin and the Heart Yin, or show all Shu-Stream points that expel Heat. This functionality makes it easy and helps to create your own point combinations for your practice. 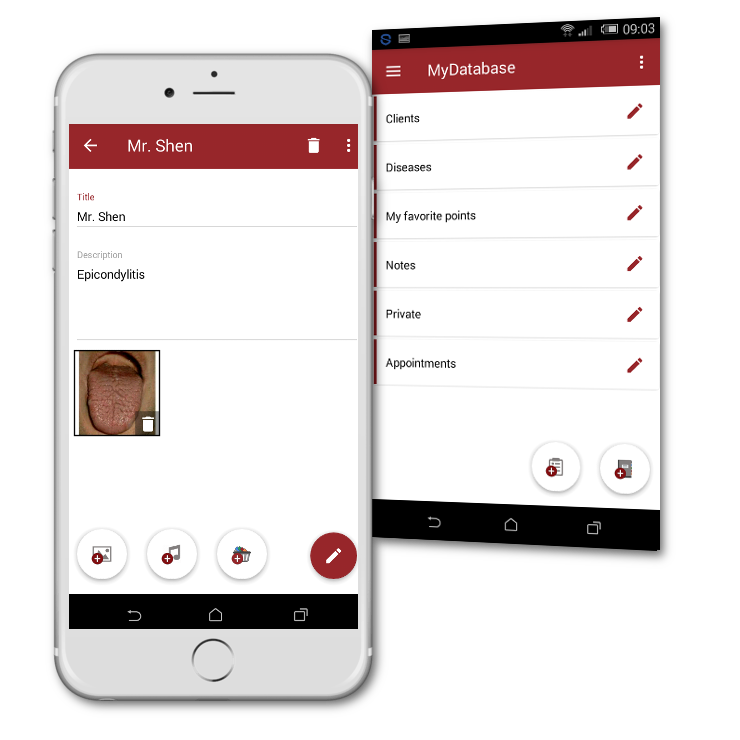 Use MyBasket as a cache for your point combinations and comfortable manage them for either patients or diseases in the app. 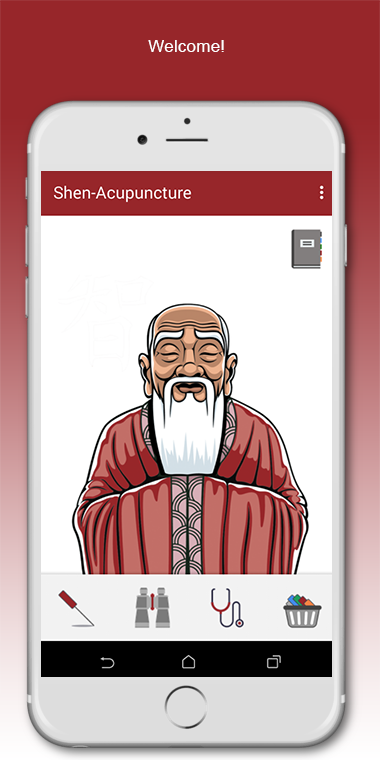 Clearly structured, the Shen Acupuncture app contains practical expertise on pathogenic Factors, patterns of Substances, Zang Fu, and -NEW- as well as the 8 Extraordinary Vessels. 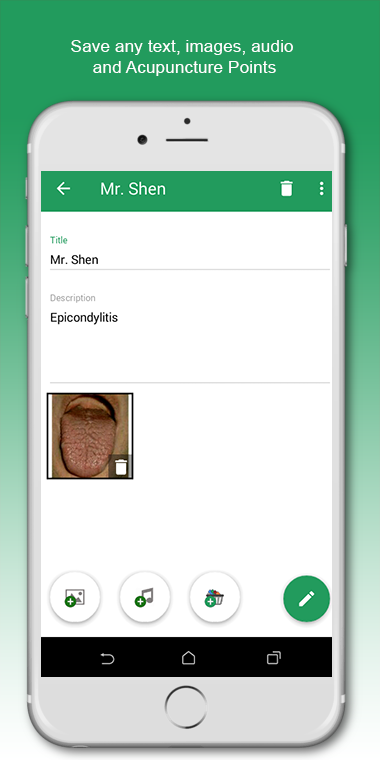 Whether taking notes on patients, treatment ideas, to do lists, images for tongue diagnostics, audio or results of your point searches – MyDatabase in the Shen Acupuncture app stores everything. 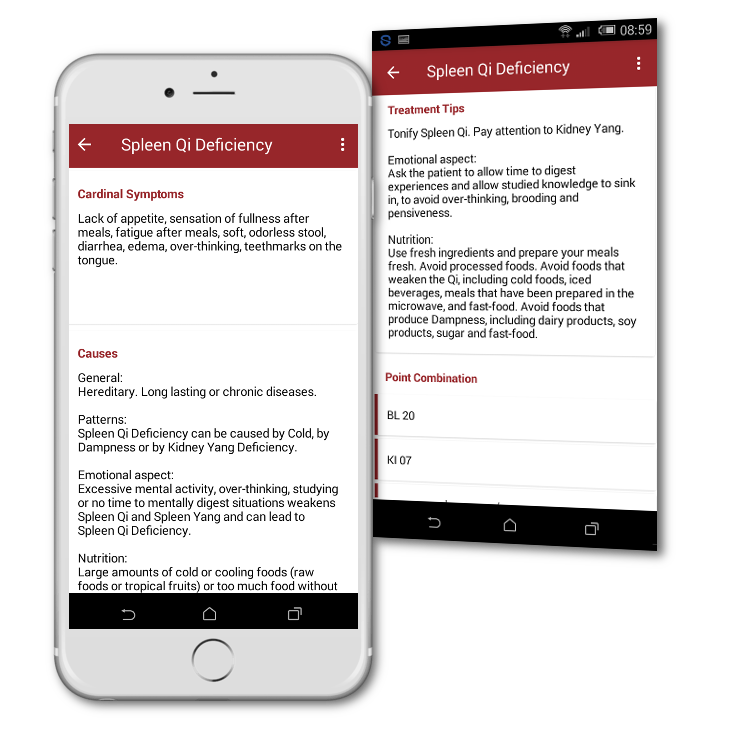 Create your own categories for notes, patients, diseases, etc. 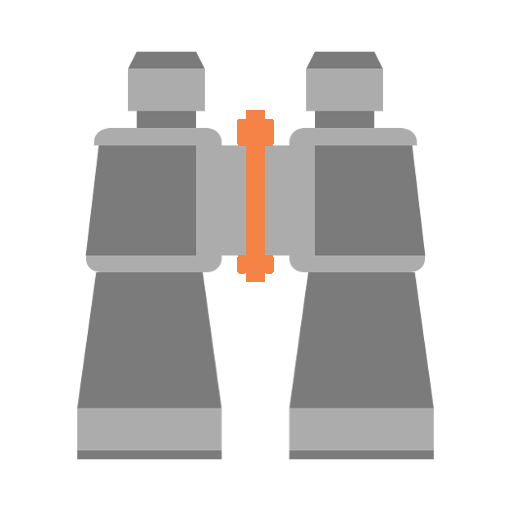 Don’t worry about data loss: Create a backup and you can restore your data at any time and from any device. Even in the event of losing or changing your smartphone! NEW: Tongue diagnosis in theory and practice. Tongue diagnoses starts after the Qi Jing Ba Mai eCourse. The Shen-Newsletter is a free service.